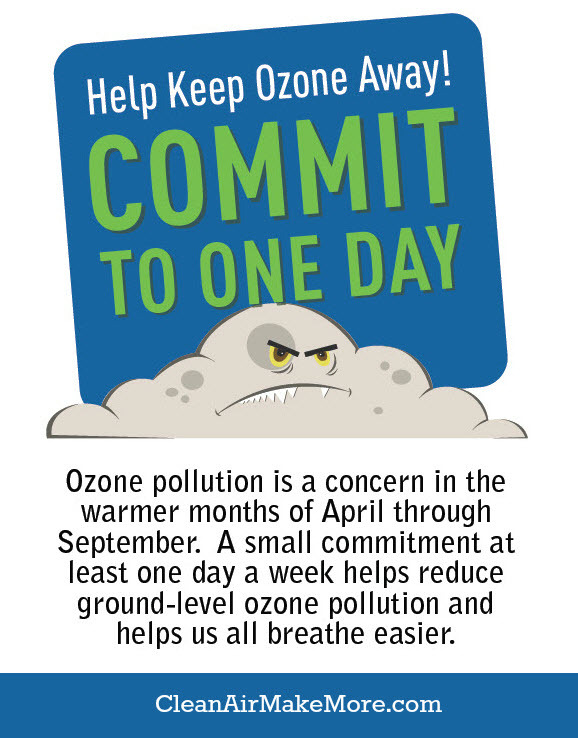 Ozone pollution is a concern in the warmer months of April through September. Ground level ozone is formed by a chemical reaction that needs heat from sunlight, nitrogen oxides and volatile organic compounds (VOCs). Ozone Health Watches are issued when the highest concentration of ozone pollution may approach the federal health standard. 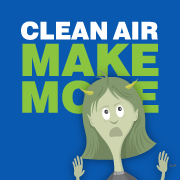 During an Ozone High Pollution Advisory, employees and contractors of government entities are prohibited from operating leaf blowers. Wood burning in residential fireplaces, chimineas, outdoor fire pits and similar outdoor fires is also restricted. This includes individuals and businesses which have burn permits for open burning and wood burning fires at hotels and restaurants. 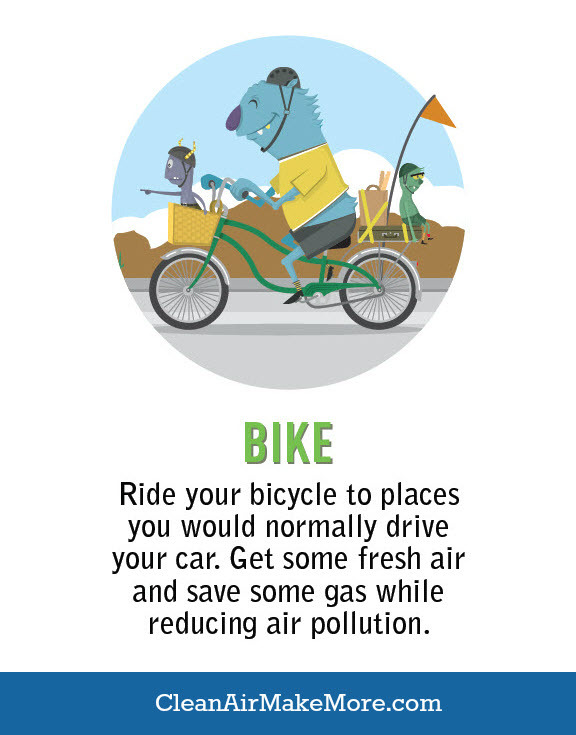 Ride your bicycle to places you would normally drive your car. 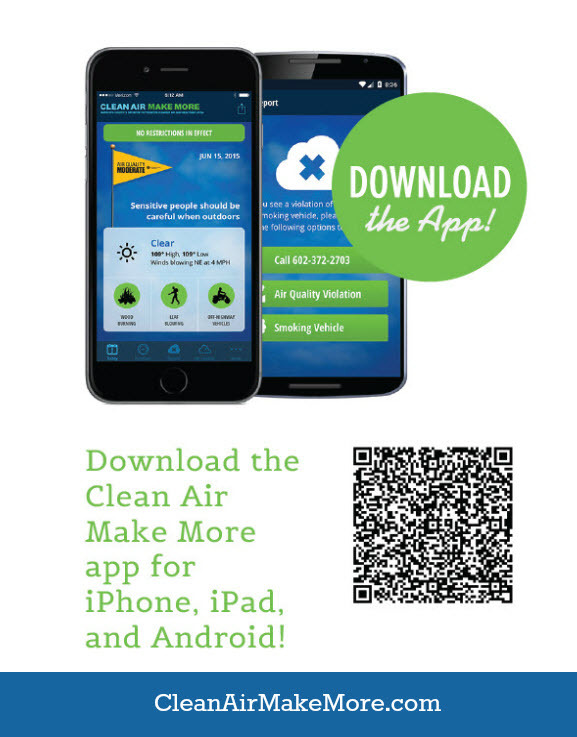 Get some fresh air and save some gas while reducing air pollution. Utilize alternate modes of transportation. 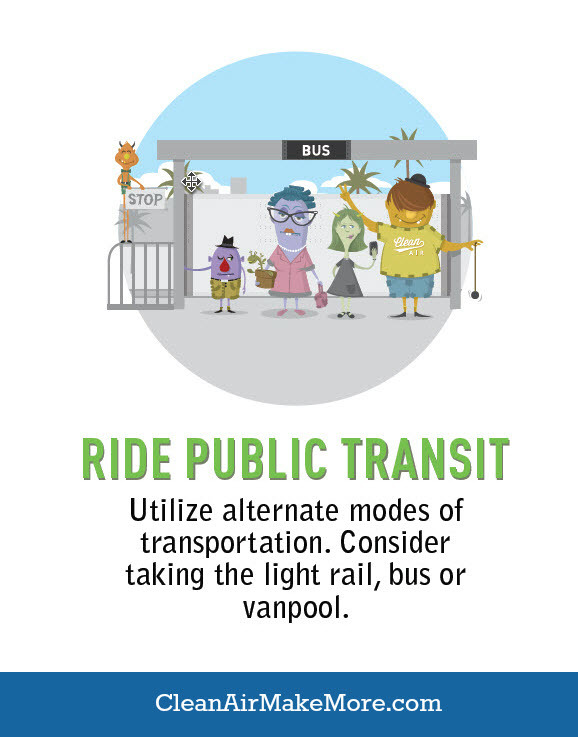 Consider taking the light rail, bus or vanpool. 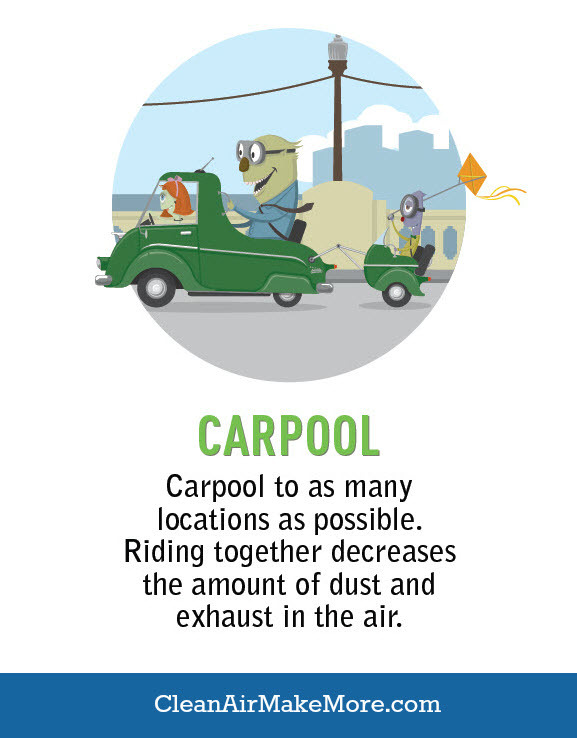 Carpool to as many locations as possible. Riding together decreases the amount of dust and exhaust in the air. 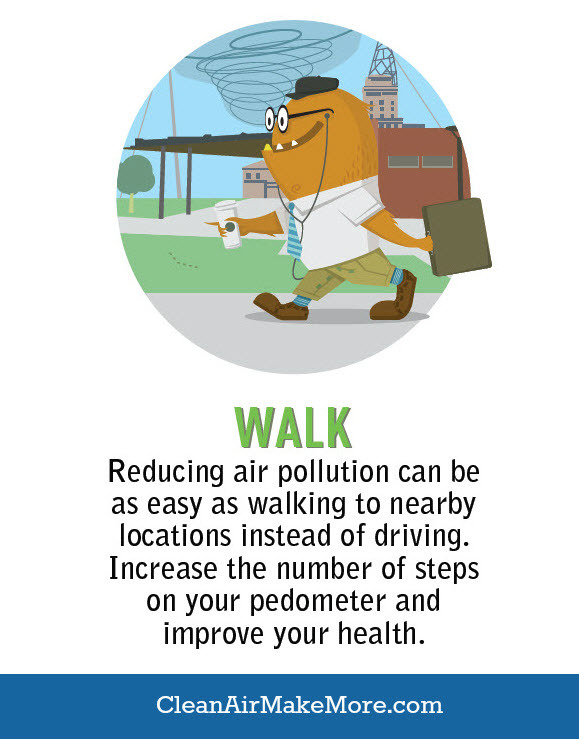 Reducing air pollution can be as easy as walking to nearby locations instead of driving. Increase the number of steps on your pedometer and improve your health. Avoid the drive-thru and go inside to order your food, coffee or prescriptions. 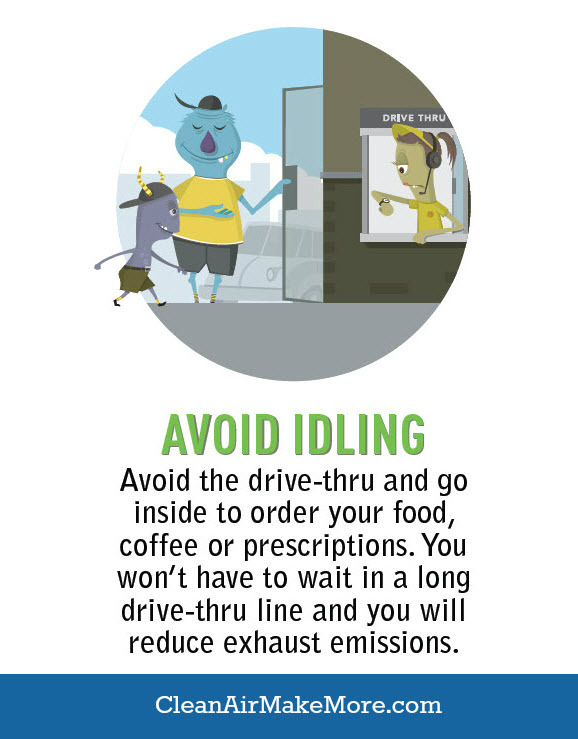 You won’t have to wait in a long drive-thru line and you will reduce exhaust emissions. 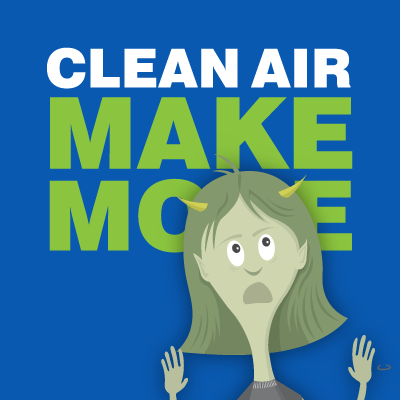 Hot temperatures and gasoline fumes create ground-level ozone. 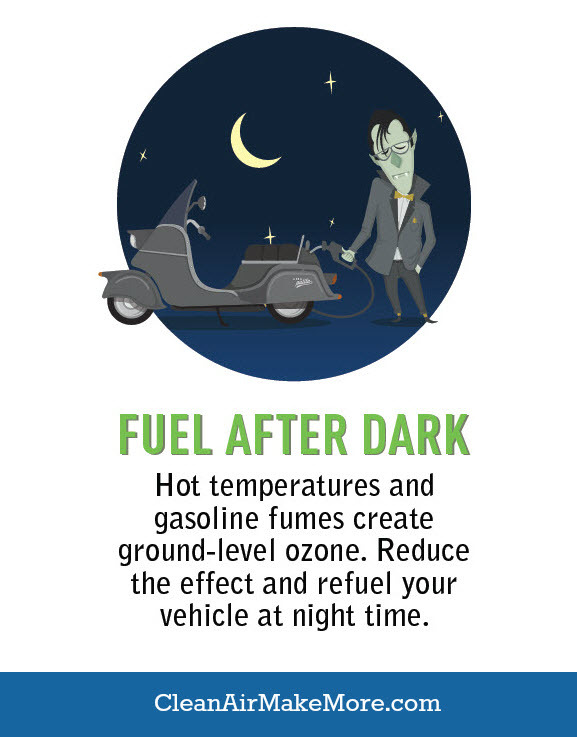 Reduce the effect and refuel your vehicle at night time. 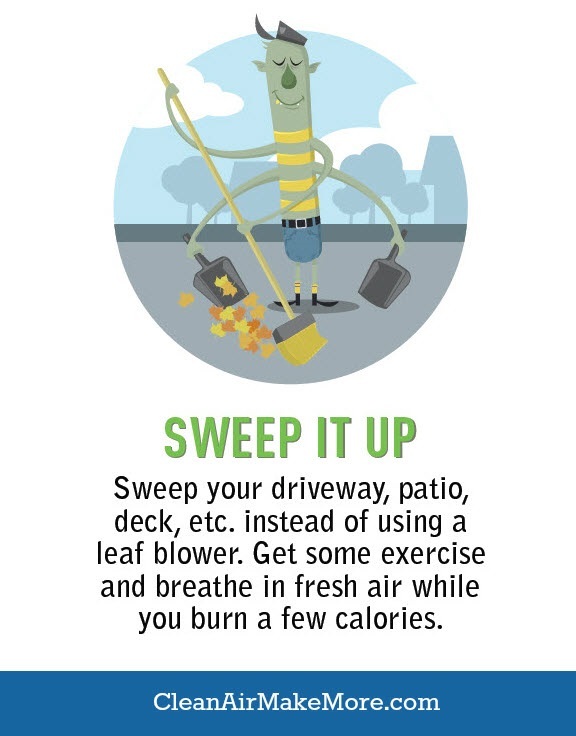 Sweep your driveway, patio, deck, etc. instead of using a leaf blower. Get some exercise and breathe in fresh air while you burn a few calories. Select a category below to see downloadable materials.